Affordable Moving Services LLC brings the experience you’ve been looking for when it comes to home and office moves. Whether local or long-distance, you can count on our small family owned business to serve you throughout Metro Detroit. We have been doing so for more than 10 years. While our office is located in Rochester Hills, we serve the entire Troy, Oakland and surrounding areas with superior offerings. No matter where you’re moving to, whether next door or across the state, we know how stressful moving can be. Here at Affordable Moving Services, we focus on providing the best moving experience for our clients, punctuated by the highest levels of customer satisfaction whereby we do everything we can to meet your expectations. Our BBB Accredited Business would be happy to give you a free quote to help you start planning your Troy move. Rest assured we take great care of your furniture, electronics, and other belongings to ensure safe transport, whether you’re buying your first house, upsizing, downsizing or moving your entire office. Our professionally trained movers know exactly how to transport furniture and other valuable or bulky items the right way, wrapping and padding everything for your peace of mind. Plus, we offer carpet shields at a small additional cost. On your scheduled date, you can expect our movers to arrive in uniform on time to safely and securely load your belongings. Moving locally? We can often do all of this on the same day! With door to door relocations and competitive pricing, we strive for your 100% customer satisfaction each and every time. With quality comprehensive moves that meet your budget, you can feel good about hiring us. 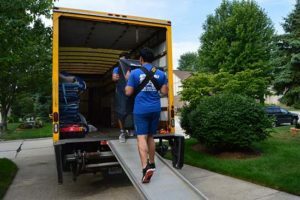 To learn more about our moving services in Troy Michigan, please contact us today at (248) 260-7026 or email us at affordablemovingservices@hotmail.com.